Turn Up The Heat...No, I Mean Open The Windows! Towards the end of summer I start wishing for cooler weather so I can curl up in my sweats with a good book or a cup of hot chocolate. Now it is Fall and Winter is approaching and it is complicated. Arizona traditionally has a temperature difference from day to night of around thirty to forty degrees. So, we may dress in sweats at night, and sleep with blankets on us, but in the daytime we just might wear shorts and turn on the air conditioning in the car! At our house one of us is forever adjusting the thermostat only to have the other one of us change it back again. 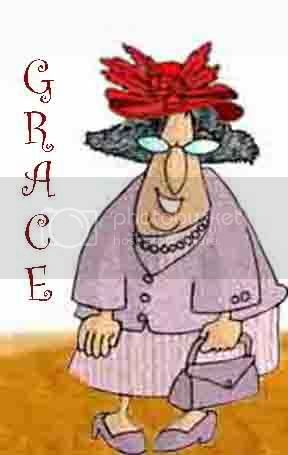 It is well known that as we age our inner thermostats get off kilter, and that is certainly true around here. I am cold during the day, and at night I am tossing off covers and sweating. (Oh, dear...women aren't supposed to sweat are we? We perspire, excuse me.) No. I sweat those good ol' night sweats that we post-menopausal women get! HB (HoneyBunny) on the other hand is hot during the day and piles two to three blankets on his little ol' self at night. It is crazy. I am thinking it is the same way in most houses where older folks live. All I know is, there is a lot of disagreement about what is a comfortable temperature around here! What's it like at your house? Creating takes such concentration. Blogging takes a lot of energy. 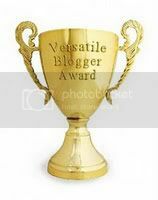 It makes me wonder how many hairless bloggers are sitting at computers right this minute! I'm a little light on the hair anyway, and I don't relish losing mine by getting frustrated when things aren't working out as planned. 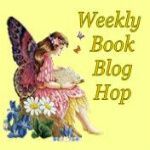 By now you have been introduced to my Sister, Maggee and her Creative Corner - a new part of my blog. I posted a caricature & bio of her that was a little difficult to read on here so I asked her if she could adjust the font so you could read it easier. I hate that I am requesting changes in her artwork like I am some kind of mogul needing just the right image for my world famous blog! Hrumph! 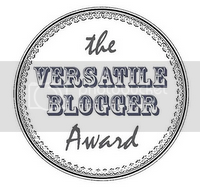 I am just her bloggy, pesky older Sister, pestering her for my lowly little blog world. I am so happy that she is willing to make changes for you (and for me!). The one. The only. The Sister. er, um...Maggee! The caricature is perfect. 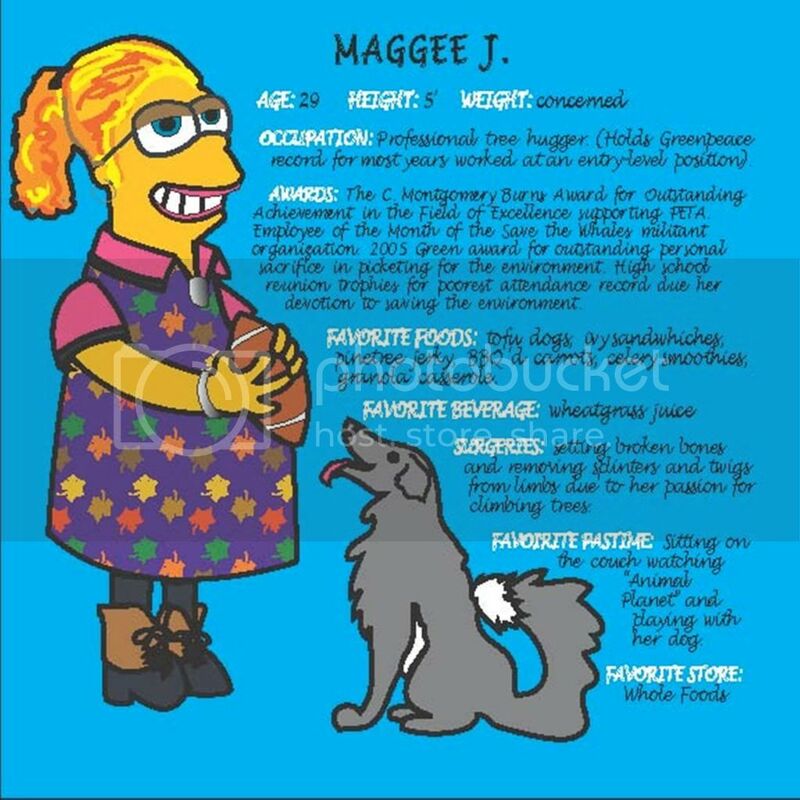 Maggee and dogs go together like chewing and gum! She is so good with dogs, cats, and any animal. She just has a heart for them. So much so, that she became a vegetarian as a young woman. (And I always thought she'd grow up to be a veterinarian!) If it has a face, she won't eat it. Imagine that - a girl raised in corn-fed beef country, whose Dad raised chickens and calves for eating - not wanting meat. I admire her knowledge of nutrition and health issues and her reasons for following such a lifestyle. I can do it on a part-time basis, but I admit I do like meat. 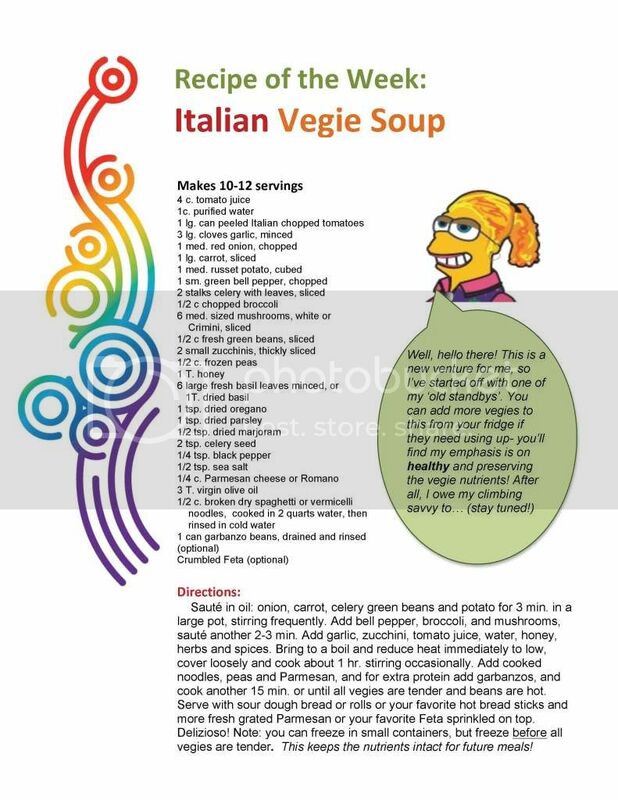 She has published an herb and spice poster which is chock full of information on which herb or spice goes with what food, complete with drawings so we kitchen rookies can tell which is which. She has ideas for publishing her own cookbooks. She would be great as a restaurateur, especially if she were the cook! But, she, like me, is no spring chicken (can I say that about a vegetarian?) anymore who can stand for hours on end. Something has to give and with me, it is usually my knees! Our lives have taken different paths, but in our hearts we will always be Sisters. I was an Elvis fan, she loved the Beatles. I had a good start on my family before she had her daughter. We lived in different states. We've had our ups and downs like most families. 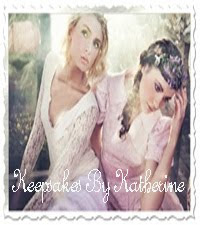 Today, we are working together to bring you some of her ideas and my ramblings. We hope you will agree that this is a good thing. I hope you grow to love Maggee and her talents as much as I do! As promised, here is the first installment of Maggee's Creative Corner! This will be a mixture of creative ideas from my Sister, Maggee. It could be a recipe, as this one is, or a crafty idea, or a how-to - each will be a surprise gift for us to try and enjoy! You see, Maggee had a dream. She has lots of them - some quite frightening, by the way - but this one was a good one. She dreamed up some creative ideas for my blog. (She must be way too busy hugging those trees and pulling splinters out to start her own blog!) So, she is passing blog ideas on to me from her very own creativeness and sources she is familiar with. Don't you just love her to pieces already? I do! 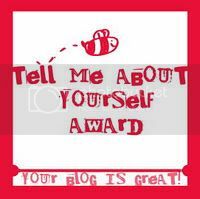 When I get those creative blog ideas, how-to's and such, I will post them under this button (also designed by Maggee). Such a clever person! Since she was first able to hold a crayon, she could draw, but her many talents also include painting, sculpting, pencil drawings, and just about anything artsy. She has also been studying graphic arts at a University while living in Portland. (She is now in California.) It will be exciting to see what she sends me to share with you all. Dayspring $20 Coupon Code Giveaway! Book Review & Giveaway! 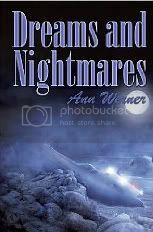 Dreams and Nightmares by Ann Werner ! Well, okay, it isn't quite the weekend, but it is a holiday week END, so shouldn't that count? Grace says "Yes!" This is usually our trash pick up day. With the Thanksgiving holiday yesterday, it seems the entire neighborhood was either drunk from eating too much turkey or totally confused. In any case, no one put out their trash cans, thinking that the trash guys had the day off. No one was brave enough to risk looking silly by putting it out just in case. So, when I was awakened at 7:30 am by a noise sounding suspiciously like a garbage truck, followed by another noise that sounded very much like a trash can being rolled out, I peeked out the window to check on things. I didn't see anything - no truck, no cans on the street. So...I proceeded to get dressed. A few minutes later I opened the front door to get our newspaper and noticed that the house across the street had put their can out (hastily, am guessing). I tiptoed over and lifted the lid and...ugh(!) it was empty! Meaning, of course, that I had missed the pickup! Outfoxed by the City Maintenance people - again! It happened once before! They must all have a good chuckle as they gather around the water cooler, when the drivers come in and tell them how empty the streets were of trash cans. Personally, I think it is all a game with them - let's fool the citizens! Are we on a regular schedule or are we on a holiday schedule? Sigh...now the rest of our street must wait until Tuesday to have our trash cans emptied. That could be a challenge! So Much To Be Thankful For...Today and Everyday! Wordless Wednesday ~ First Touches / So Excited! Wishing all of my bloggy friends a very Happy Thanksgiving tomorrow with many blessings, good food and love of family! Help ~ I Need Pest Control! So, when we schedule monthly pest control services, which pests are they supposed to "control?" Sure, we expect them to eliminate those pesky roaches, ants, spiders, and other creepy crawlies, but what about the other pests? What about those door-to-door salesmen who ignore your No Soliciting sign - pests. Or those canvassing church ladies who try every way possible to give you a brochure - pests. And, those youngsters who try to get you to believe they are earning money for a scholarship, but they swear that they "aren't selling anything" - pests. Lest we forget (how could we possibly) there are also those nuisance calls from telemarketers - pests. Who is controlling them?﻿ How are we supposed to stop them? No one has invented a product (legal product) that can eliminate them as far as I know. Are we just supposed to put up with them when they ignore our requests to be left alone? Is there no relief from the constant pitches from here and there? I want help! Make them go away! How do we sort out the "pests" who may be canvassing the neighborhood, looking for a likely house to break in to? How do we determine which offers are scams before we get caught up in their web? When is it okay to be as rude to them as they are to us? Why do they consider our welcoming entryway as a sign that they are welcome? Pests! There are a lot of unanswered questions. Who has the solution? I want to shop when I need something - at a store or online - not at my door from a total stranger! I want to select my own church to attend - on my own, thank you very much. I am sure those church folk are very nice, but their views are waaaay different than mine, and I don't care to get into a discussion about it and get all defensive. This is my home. I want to invite who comes here. I am not comfortable with strangers telling me they aren't selling and then give me a sales pitch. What is your answer to this problem? How do you handle pests? In the first two chapters we meet two distinctly different characters. Decker, who dreams of being a successful writer, meets her live-in boyfriend at a fancy restaurant at his request, expecting a marriage proposal, and gets instead, an awkward statement that he is leaving her for another woman and moving to Chicago. Her devastation soon turns to elation when her manuscript is accepted and she receives a check for $100,000 and a contract with a top literary agent. At the same time, we meet Albert, a career criminal who, in a bank robbery gone horribly wrong ends up in prison again. The author keeps us guessing as he plots to escape by getting sent to the infirmary, and his hope that his girlfriend and his cousin will understand his coded message asking for their help. I liked that the book was unpredictable. I knew these two characters must have some connection, but there seemed to be none. I didn’t want to put the book down – afraid the clues I was looking for were just ahead in the next chapter or two. All strands come together in an unexpected way which keep the reader guessing right up to the last chapters. I was not disappointed, but I’ll save the ending for the next reader to discover. It was well worth staying up late to finish this book! Elegant is a word that would describe my friend, Nessa, as I shall refer to her in my blog. She is medium height, slender in build (she doesn't think so, but the way she dresses makes her appear to be slim), and dresses well. She carries herself well. Sister in Christ is who I would tell you she is. I love that we can chat about what God has done and is doing in our lives. We often Praise Him for the simplest of gifts and that is such a natural part of our friendship. Praying for each other is another blessing that we both are thankful for. We met several years ago when we were both getting our nails manicured at the same time, same place. I believe I was talking about an upcoming Red Hat event and she commented that she had her own Red Hat Chapter, too, but that it sounded like we had a lot of fun. She soon joined my chapter (she still was Queen of her own) and became one of five other Queens who joined us to share our frivolity. Fun is the reason we gather, and the more the merrier, after all! Today we are both so grateful that our friendship has grown and that we have become so close. 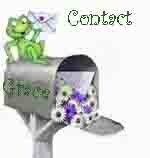 The blessing of friends is not taken lightly and I am happy to tell you about my treasures each Sunday. 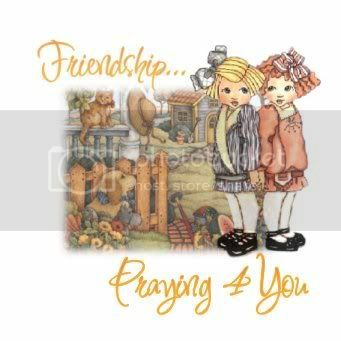 It is my prayer that you, too, count your blessings one friend at-a-time. It's Friday, the day is half over and I haven't thought of anything clever or enlightening to post about. Or maybe it's because I have been busy these past two days, getting our Christmas tree entry set up and finalized for our hospital's annual fundraiser event, Festival of Trees. By tonight, our Mall will be looking very festive with all of the Christmas trees lit up and decorated real fancy! Such creativeness (if that's a word!) ~ I just stand there in awe! Oh, my...it seems that my pondering has created a blog all by itself! Isn't that wonderful! Now I can concentrate on tomorrow's friend blog! Oh, thank you all for putting up with my blathering! This is how I spent my morning. Decorating our Red Hat chapter's entry in Sierra Vista Hospital's fundraiser at Mall. Since I was the photographer, I am not in any of the photos, but the Plum Crazy Ladies are, and they deserve all the credit anyway! The tree is a tribute to all of the First Responders who helped fight the Monument Fire here in June. A huge shout out to all First Responders everywhere! Sunny concentrating on her "vision" of the tree. Deb and Connie cutting wire for for attaching the ornaments. Sunny, Doris and Deb putting the first ornaments on the tree. The Elves (Plum Crazy Ladies) toiling away! The tree topper ('scuse the background). Plum Crazy Elfettes hard at work. Putting the finishing touches on our entry. Gasp! There's No More Diet Cola In The Fridge! Three days ago (but who's counting, right?) we ran out of Diet Cola. Bravely, I decided not to run to the store to buy more. "It isn't good for you," I told myself. "You can do without it just fine." I continued. Well, here I am, grasping at straws, trying to figure out how much chocolate I need to eat to equal that caffeine that my body is craving, or how many cups of coffee - and I am not even a coffee lover! Something is missing to give me energy, good humor and that all important caffeine boost that I am lacking. Something is needed to take it's place. I am not a health nut (although I wish I were) so I am willing to consider junk food, juice, or who-knows-what to perk me up. I tried energy drinks...they have too much caffeine. We older persons have quirky internal workings that do all sorts of crazy gyrations when too much caffeine gets in our intestines. I didn't like that so much. Here's where I'll be today. Won't you come hop with me? 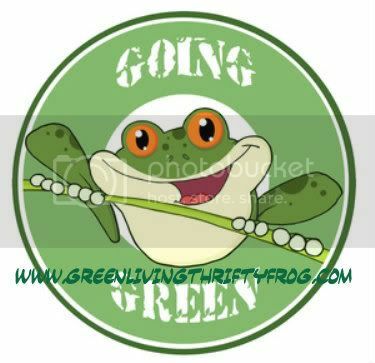 Just click on the images and come along! 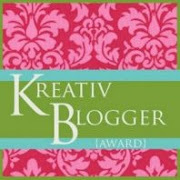 I Received the Liebster Blog Award! I'm Not Old, I'm Crunchy! Ever Hear of a Haboob?